In separate incidents, one man was shot multiple times and another was stabbed multiple times in Santa Maria on Tuesday. 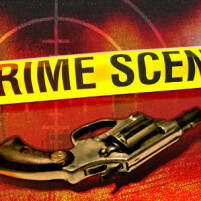 Shortly before 11 a.m., a caller reported a shooting in the area of Western Avenue and Battles Road. Officers arrived and found a man lying on the ground suffering from multiple gunshot wounds, according to the Santa Maria Police Department. Witnesses said two suspects fled the scene in a dark-colored, four-door vehicle. At about 6:40 p.m., a suspect stabbed a man multiple times in the 900 block of North Palisade Drive. Then later in the evening, officers stopped a vehicle suspected to be the one in which the shooting suspects fled. A foot chase ensued, and with help from a helicopter above, officers caught and arrested four suspects. The suspects are believed to have been committing robberies, in addition to being connected to the shooting. Police believe the shooting was gang related. It is unclear if police have identified a suspect in the stabbing case. Better to be Latvian than racist.